Marcopolis ranked the top business leaders in Ivory Coast. The ranking is based on an executive survey with the top businessmen as part of the business report on Ivory Coast. Jean Kacou Diagou is No. 1 and Jean-Marie Ackah, at No. 2, is the second top businessman in Ivory Coast. The research team asked the interviewees, who they think are the five top business personalities in Ivory Coast. The interviewees anonymously nominated a total of 15 leaders. 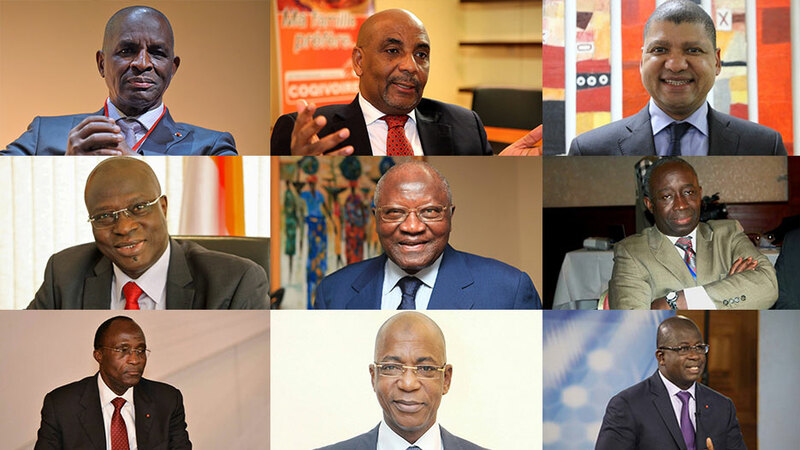 Out of the 15 personalities nominated by our interviewees, 10 leaders were a common vote amongst them, with 5 of the top businessmen standing out from the group and emerging as the leading business figures in Ivory Coast. #1 Jean Kacou Diagou is the most powerful business leader in Ivory Coast. He is mostly known for being the Founder of NSIA Group, as well as the former President of CGECI, the General Confederation of Enterprises of Côte d'Ivoire. He is also the actual President of FOPAO (Fédération des Organizations Patronales de l'Afrique de l'Ouest), the Federation of West Africa Employer's Associations. #2 Jean-Marie Ackah is the President of SIPRA (Société Ivoirienne de Productions Animales), one of the main producers of animal feed and poultry in Ivory Coast, as well as the President of CGECI, the General Confederation of Enterprises of Côte d'Ivoire, a union between professional groups, trade unions and professional associations of industry, trade, services and agriculture. Mr Ackah is also the Chairman of BICICI, a subsidiary of the BNP Paribas Group. #3 Jean-Louis Billon is the former Minister of Commerce, former leader of SIFCA, as well as the former President of Ivory Coast's Chamber of Commerce and Industry. #4 Gerard Mangoua is the Founder and CEO of Ubipharm Group, a regional leader in the distribution of pharmaceutical and parapharmaceutical products. #5 Emmanuel Essis is the General Manager of CEPICI (Centre de Promotion des Investissements en Côte d'Ivoire), the Investment Promotion Centre of Ivory Coast. #6 Mathieu Kadio-Morokro is the Founder and President of the Petro Ivoire Group, a leader in the distribution of petroleum products in the country. #7 Joseph-Désiré Biley is the President of TRCI (Tropical Rubber Côte d'Ivoire), as well as the President of FNISCI (Fédération Nationale des Industries et Services de Côte d’Ivoire), the National Federation of Industries and Services in Ivory Coast. #8 Adama Koné is the Head of Ivory Coast's Public Treasury (Trésor et de la Comptabilité Publique de Côte d'Ivoire). #9 Issiaka Fofana is the General Director of LONACI (Loterie Nationale de Côte d'Ivoire), Ivory Coast's National Lottery, as well as the President of the African Lottery Association. #10 Hien Sié is the Managing Director of the Port of Abidjan (Port Autonome d'Abidjan), the biggest port in West Africa. Our interviewees considered a number of Ivorians, however chose their nominees based on their influence and power in the country. Their innovation, inspiration, wide-range endeavors, and philanthropy have been recognized by the business world. 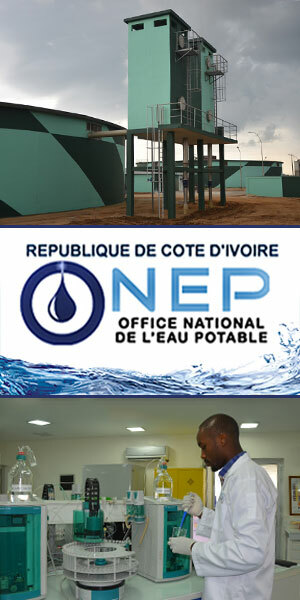 Their strong work ethic and genuine impact on the Ivorian people have landed them on the list of Marcopolis’ top businessmen in the country.